The RSPB has put out a Severe Weather Warning for birds. As there is a cold snap on the way, everybody needs to do their best to help wild birds endure these severe weather conditions. This year it looks as though wild birds will face an earlier than usual test in finding enough of the right kind of foods to give them energy and warmth, meaning the food and water we supply could ensure their survival. 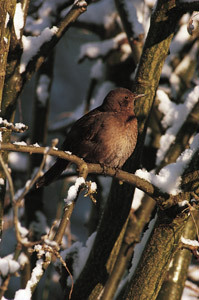 During cold snaps, such as the one expected, birds become more vulnerable and are more likely to come into gardens, local parks and other more habited places to seek refuge. When temperatures drop below freezing, birds struggle to find the natural food they need to stay alive and have to rely on us to help them out. To encourage the survival of our birds, people should provide food like meal worms, fat-balls, crushed peanuts, dried fruit, seeds and grain to compensate for birds’ natural food which is covered in snow and ice and impossible to get to. 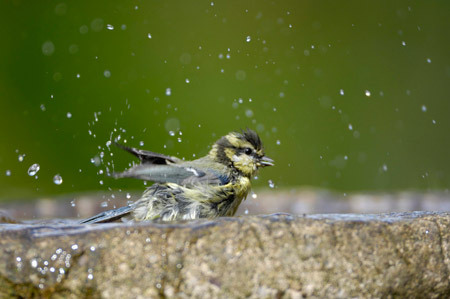 Leftovers like grated cheese, porridge oats, soft fruit, unsalted bacon, cooked rice, pasta and the insides of cooked potatoes are also a good source of energy for garden birds, and water for both drinking and bathing is vital. As well as affecting some vulnerable species, the cold snap may also bring some unusual birds from overseas a little earlier than usual. Species such as the siskin, the waxwing, and the fieldfare could all be spotted. Val Osborne, senior wildlife adviser for the RSPB says: “With harsh wintry weather conditions heading our way this week the wild birds in our gardens will need a little TLC. The insects, berries and seeds garden birds usually feast on will become off limits thanks to frost and snow, so taking the time to provide some nutritious food and water for them is essential to their survival." 1. Put out feed regularly, especially in severe weather. 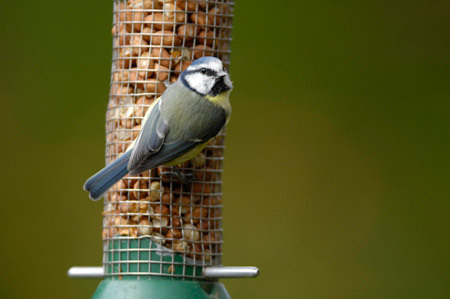 Set up a bird table and use high calorie seed mixes. This can also be used to put out kitchen scraps such as grated cheese, pastry and porridge oats. 2. 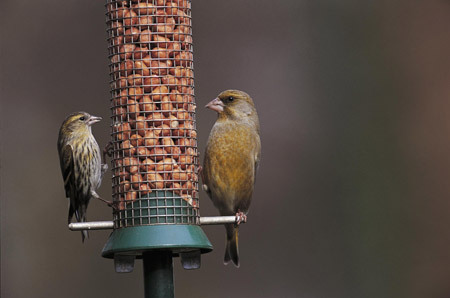 Put out hanging feeders for black sunflower seeds, sunflower hearts, sunflower-rich mixes or unsalted peanuts. 3. Ensure a supply of fresh water every day. If it is very cold use tepid water but DO NOT use any antifreeze products. 4. Put out fruit, such as apples and pears, for blackbirds, song thrushes and other members of the thrush family. 5. Food bars or fat hung up or rubbed into the bark of trees is a great help for treecreepers, goldcrests and many other species. 6. Put up nest boxes to provide roost sites for the smaller birds. They will then be used for breeding later in the year. When the weather conditions take a turn for the worse there is often a noticeable change in the behaviour of wildlife. Birds will try to replenish energy overnight first thing in the morning and last thing in the afternoon with a spurt of activity. During winter birds must feed at an increasing speed, but must also take plenty of rest to conserve energy. Many birds become more sociable to improve their chances of survival during cold weather, flocking together to improve their chances of locating food, and huddling together during the critical night-time period to help conserve body heat. Another approach birds take to combating the big chill is to fly to milder regions in search of areas less-affected by the weather where food is still readily available. This can create a sudden and dramatic change to the birdlife of an area.